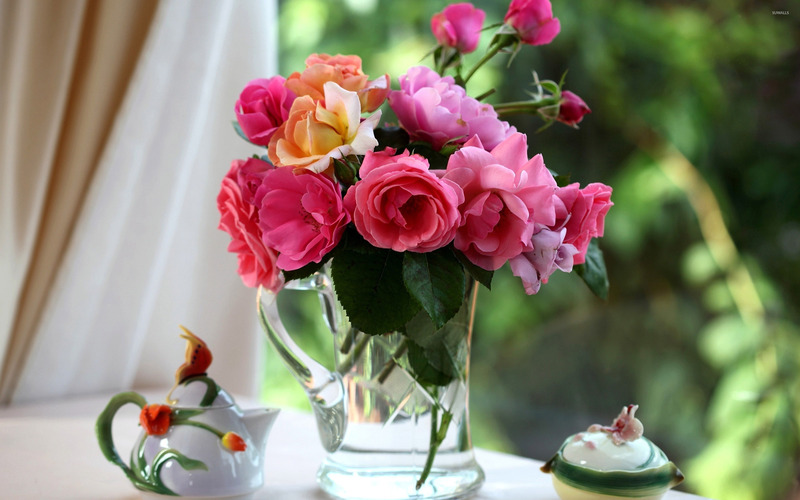 Roses in the vase on the morning tea table Flower desktop wallpaper, Rose wallpaper, Bouquet wallpaper, Vase wallpaper, Flower wallpaper - Flowers no. 51116. 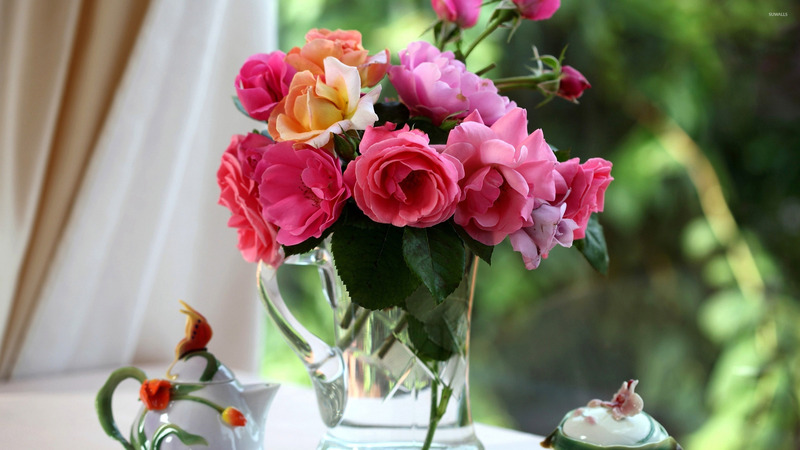 Download this Roses in the vase on the morning tea table Rose Bouquet Vase desktop wallpaper in multiple resolutions for free.